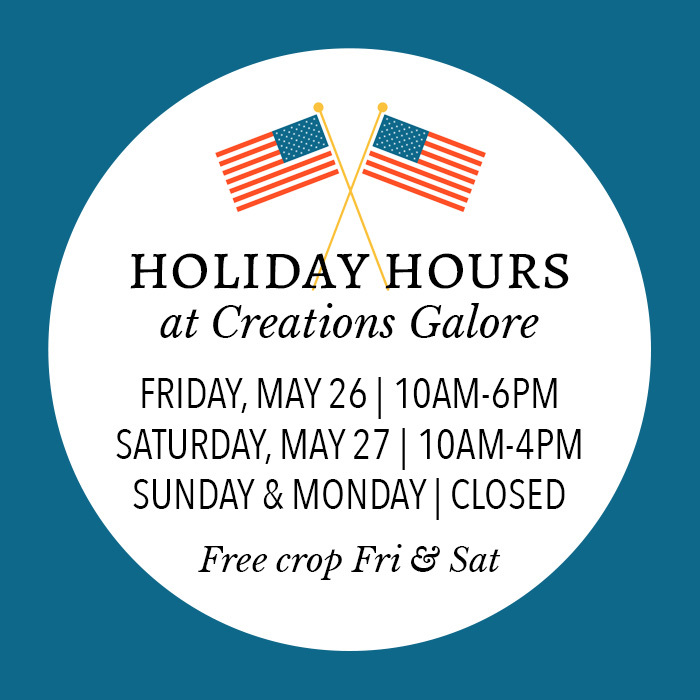 This weekend Creations Galore will have shorter hours. We're sorry for any inconvenience and are offering a free crop as a thank you. May you have a safe and happy Memorial Day!